Poornima Paathshala, the Social Welfare Community initiated by Poornima Foundation (promoted by Shanti Education Society (SES)), came into existence in year 2013. Its founder and co-ordinator is Mr. Om Prakash Gurjar, Winner in 2006 of “International Child Peace Prize” instituted by Kids Rights, Netherlands, and it is being headed by Mrs. Renu Singhi as its Chief Mentor. It provides a forum for faculty and students of institutes under Poornima Foundation to participate in social activities and voluntarily contribute to make a difference in the life of under-priviledged children through non-formal education and conducive learning environment. 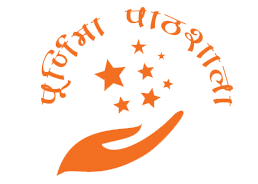 Poornima Paathshala is an effort to contribute in fulfilment of dreams of parents towards their children, to bring smile on their faces and help them with education in transforming into a potent social force eager to step forward into the world of competition and aspire to become successful persons. It focuses on overall development of the child to make him self-reliant and a responsible member of the society.It begins with the acquisition of knowledge and learning working in synergy with ongoing formal education. To create educational awareness among the local rural areas. To provide elementary education and computer education to the children in between age group of 14-18. To organize campaigns to spread awareness regarding Right to Education. To encourage children to go to school. To support the families of under priviledged children . To set up a network that aims to give all children a birth certificate. To protect children from slavery, trafficking, forced marriage. Education is the key to the prevention of child labour, child trafficking and all manifestations of violations of child rights. Quality and meaningful education is the prerequisite for all child rights. Poornima Paathshala believes that poverty, illiteracy and child labour are part of a triangular paradigm, forming a vicious circle, where each is a cause and consequence of the other. With this anticipation to educate the impoverished children and induce the happiness in their life, Poornima Paathshala is running its programmes to educate the underprivileged children and bring the light of knowledge in their life. Currently around 150 children from nearby villages are participating in two hour programme from 4pm to 6pm being run on three days in a week in the campus of Poornima University at Ramchandrapura, Jaipur.